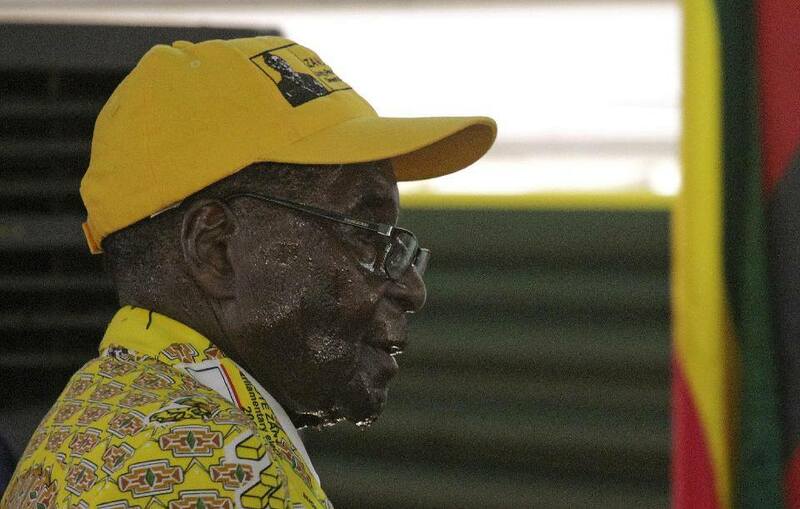 Zimbabwe’s ancient Shona kings would be disappointed with how President Robert Mugabe has run-down the country since taking over from Rhodesia 35 years ago, People’s Democratic Party (PDP) leader Tendai Biti has said. Biti told his party activists at a provincial meeting at the weekend that Mugabe’s administration has shown Zimbabweans “how not to govern a country”. “This once great empire of Munhumutapa is now a laughing stock. The Mutapas would be very disappointed indeed. Our country has been turned into an economic, social and political museum of how not to do things. “It is a failure by the Zanu PF government and their failure is getting worse. “Zanu PF and its Cabinet ministers are now psychiatrics and that is why in the PDP we are saying another Zimbabwe is possible,” Biti, a former cabinet minister, said. Zimbabwe, in the past 15 years, has been struggling with a political and economic crisis exacerbated by intermittent droughts. Mugabe’s unplanned land-grab also made things worse as the country’s once productive agricultural sector was reduced to a caricature of its former self. The country went into a complete meltdown, leading to the implosion of the local currency. Biti said the economic problems have had domino negative effects on the social make-up of the country. “The economy has sunk so low that we are now a country with the highest divorce rate in Africa as families are failing to cope with the economic meltdown. “Domestic violence is on the rise. That is the legacy of Robert Mugabe. It is a legacy of self-destruction. “Masvingo is a province with the highest literacy rate in the country but it is the least developed especially in terms of rural development and the battle is to develop the province. “There are three million Zimbabweans who have run away from Mugabe are in South Africa while millions more are in Botswana, UK and USA. “They do not want to be in those countries but in Zimbabwe but they are there because of the gospel according to Robert Mugabe,” the ex-treasury chief said. Philip Chiyangwa, Temba Mliswa To Face Off In Zifa Presidency Race? ‘ZRP To Investigate Zanele’s Death: Itai Dzamara Still Missing’-Government Doesnt Care!